First of all – I am not a Dr. I do not have a degree in psychology and I am in no way a professional in the area of depression or SAD or anything related to it. But I do deal with depression and SAD. I’ve experienced both myself and I’m sharing here. My hope is that by sharing I might help those who deal with the same things to know they are not alone, perhaps help them find ways to deal with the affliction by sharing what works for me, and to maybe educate someone who has no idea what I’m talking about. SAD is real. It hurts. And words and actions from people who don’t believe it’s real or don’t know anything about it can be debilitating to those of us who suffer from the affects of SAD or other depression issues. 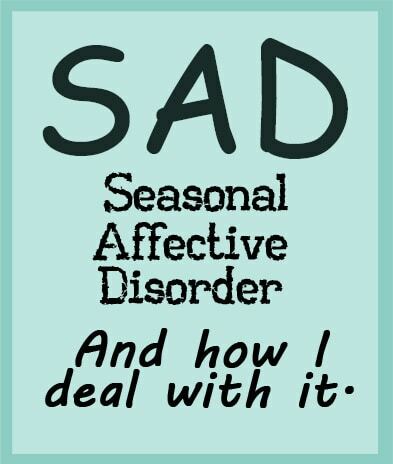 (SAD) Seasonal affective disorder, also known as winter depression, winter blues, summer depression, summer blues, or seasonal depression, was considered a mood disorder in which people who have normal mental health throughout most of the year experience depressive symptoms in the winter or summer. The above is from Wikipedia and you can read more about the official definition there if you want to. SAD affects more people than you would expect. I didn’t look up any statistics but I find that when I am open about my feelings there are so many people who will say they feel the same or have had some of the same symptoms. 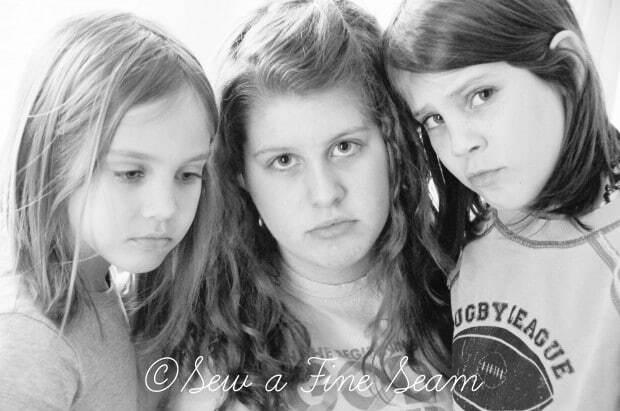 For me it started when I was pregnant with my middle girl – 11 years ago now. I was just 2 to 3 months into the pregnancy, I was sick, I had a 4-year-old to take care of, and I was exhausted. Every day seemed to get harder and harder to make myself do what had to be done. I was depressed. I recognized the symptoms for what they were but I had no idea what to do about them. I would go to my Mom’s during the day and just lay on her couch, too weighted down to even sit up. Knowing she was taking care of my daughter, I would hang out there till evening, till my hubby was home and could take over when I got back there. I could do what I absolutely had to but it was getting harder by the day. I was praying of course, crying out to God to help me and show me what to do, but when you feel like you are carrying a weight so heavy you can’t even get out of bed, it gets pretty hard to find the energy to breathe let alone sent prayers upward and my cries were getting pretty weak. Then one morning a friend called. I don’t remember what she called about. It wasn’t a friend I talked to on the phone a lot. And it wasn’t a friend I would have normally told all my woes to. But she called for some reason and she asked me how I was doing. And for some reason instead of just saying ‘Oh fine, just the usual early pregnancy stuff’, I told her how I was really doing. And right then God answered my groanings that hadn’t even been uttered. And praise God it worked. I was able to sit on the couch again. My smile returned. I could cope with the nausea of pregnancy again. A few years ago it seemed that winter was beginning to bother me more. It’s taken a few years to figure out what exactly triggers my bad days and to figure out what to do about it. My biggest trigger is the cold. We live in an old house that hasn’t always been warm – that is an entire story in itself and I’ll save it for another time. When I have to be out in the cold I end up so cold after I come in that I can’t get warm. Even if I wasn’t feeling cold while I was outside. And if I can’t get warmed up I get sick. It’s weird – my tummy will be upset, my head will hurt, my joints all ache, and I’m so tired I can’t move. A good nights sleep will usually take care of it but sometimes it lasts into the next day. Sometimes I can go for days and feel fine, sometimes I have a string of days in a row that I accomplish nothing but what absolutely has to be done and sometimes not even that. It feels like there is a weight on my shoulders that will not go away. If I have things I have to do it feels like I am moving through water to try to get anything done. All I want to do is go to bed and sleep. Nothing sounds fun, I don’t want to talk to anyone, and I certainly don’t want anyone to tell me to count my blessings or that tomorrow will be better, or that I should be enjoying living today. I don’t want my kids to need anything and if they do they can just get it themselves. I don’t usually yell at them because I have no energy to do that but I don’t do much for them either. When they were younger I would drag myself around doing what I had to but now I just tell them to do it themselves. Or let them watch movies. Another big trigger for me are the words people say. If I put something on facebook about looking forward to Spring and someone says something about enjoying each day as it comes, it can send me into a downward spiral that can last for a long time. If I tell a friend that I’m so ready to see green grass instead of snow and they say ‘Oh but the snow is SO beautiful, and I just love winter!’ it just makes me mad, makes me want to cry (and sometimes I do) and makes me feel worthless. I know people don’t always mean to make me feel that way but convincing my brain to believe that and accept it, shrug it off and go on is not easy when you are dealing with SAD! I know for a lot of people the absence of the sun is the SAD trigger. I miss the sun too when we have lots of dreary days in a row. But that’s not really my trigger. I can have a bad day on a really sunny day. It’s really hard to know exactly what it is that brings it on – if I knew for sure I’d fix it! I have learned though that I just can’t let myself get too cold or I’m going to pay for it. So how do I deal with it? There are a few things I have learned to do to cope with SAD. Stay warm! This is our second year now to have a furnace in our house. I love it. And I use it. I turn the heat up when my nose starts getting cold. I wear fuzzy socks. I layer on a sweatshirt when I start getting cold. I stay inside. I haven’t got out for anything when the temps this year have gone so far below freezing. I don’t grocery shop anyway so there is no reason I HAVE to get out. So I don’t. I have allowed myself to not have much of a schedule to my days. I’m a night owl. I stay up late. I hate going to bed because usually by bedtime I feel good, and I have great intentions for doing the things I didn’t get done that day, and I know that sleeping may change completely those good intentions. I sleep in. This year I’ve let myself sleep in way more than I ever did in years past. I can do this because my girls do. They all will sleep till 9 or 10 (sometimes later) if I let them, so I let them. I have found that the days I made myself get up earlier just because I though I should, were some of my worst days. It’s not worth it. So I sleep in. I drink. But not what that statement made you think! 😀 I drink coffee – looking forward to my morning coffee makes me happy. I drink a Pepsi. Although I don’t drink Pepsi as much as I did last winter. I drink water. I drink hot tea. Yummy drinks just make me happy. This winter my hubby has made a pot of decaf coffee in the evening a lot. If I have a really low day I just go with it instead of fighting it. If the weight descends to my shoulders I have learned that no amount of pushing through is gonna make that weight go away. So I go with it. 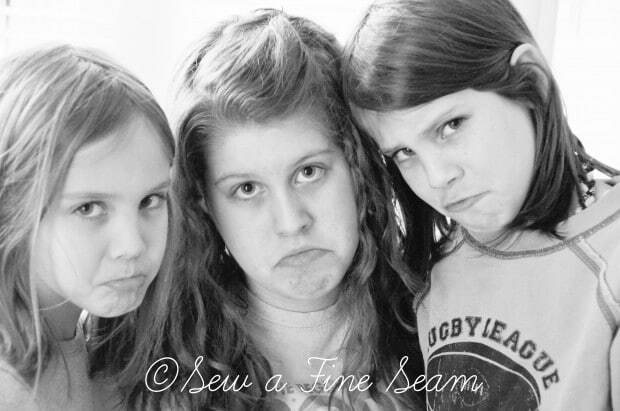 If I can, I get the girls through their school work, and then I tell them I’m not feeling good and I have to lay down. They have learned that it’s just part of life. I lay on the couch and sleep or doze or lay there with my eyes closed. On really bad days I text my hubby and tell him that he and the girls will be dealing with supper on their own. Sometimes just having him come home from work will cheer me enough to get me up and going for the evening. January is a very slow, non-productive month for me. This year was better but I still didn’t do a lot. I planned it that way. No deadlines in January. I have to know that I don’t HAVE to do anything! I’ve started using Essential Oils. It’s too early to really share with you my experience with them but I am seeing some positive changes in some areas of my life and I’m excited to learn more and figure out what works for me. I have had friends who know I deal with SAD ask me what I do. I just listed above what I’ve been doing. And I know that what works for me might not be an option for you. I’ve been through the years with little people who have to have their Mommy’s care. I now have a teenager who can do a lot for me, even taking over helping with the younger two’s school work. I can send them all upstairs or outside to play. I can tell them to just go watch a movie so I can actually sleep instead of being woke up every 2 seconds by a squeal or laugh. Not all of you are at this stage of life. You have babies. You have toddlers. You have husbands who depend on you to help run the business. You don’t homeschool and you have a car pool or game schedule to keep up with. I’ve been there. I’ve done the carpool, I’ve done the school activity schedule, I’ve done the babies and toddlers. I will tell you this – IT WAS EASIER TO HANDLE ALL THAT WHEN I WAS YOUNGER! The statement ‘you do what you have to’ is mostly true. You may not be performing at your full steam and you may be hiding your pain from everyone around you but you will look back and see that you did what you had to. Confide in someone. If you don’t feel comfortable putting it out there for the world to read, choose a trusted friend and tell them what you are dealing with. Ask them to pray with you and for you. Hire help. Even if it is just an hour or two a week and you pay a teenager a few bucks to stay with your kids so you can do something alone. Whatever it is that helps you keep going, and whatever your budget can afford. I know there are some who do not have a spare penny in their budget for anything like this. But a lot of us do if we just look for it. It will be worth it. Try to explain to your spouse how you are feeling. If they don’t get it, and think you are making it up, print some info on SAD and ask them to read it. Ask them to pray with you about it. Beg them to understand you can’t help it and that you are as frustrated as they are that you can’t just turn it off! Explain to your children how you are feeling. Even if they are very young they can understand that sometimes Mommy just doesn’t feel good. Tell them how they can help and assure them that Mommy is ok, she just has days when she needs to lay on the couch or ‘have a time out’! Disconnect from all social media if it adds to the problem. Even well-meaning friends can say the wrong thing without even knowing it. Your cry for help when you post about the weather gets met with comments that were intended to be funny but aren’t funny at all when you are dealing with SAD. I haven’t deleted my facebook account because of my business. If you have the same reason for not wanting to totally disconnect – then hide the friends who are always talking about how lovely the snow is and great the cold weather is. They won’t know you hid them but you won’t be bombarded with their posts when you aren’t feeling like taking it. And just don’t post anything about the weather at all. That way no one can leave a comment that puts you on the couch for the day. Track your days – journal if needed. Figure out what your triggers are and eliminate as much as possible. Pray about it as much as you can. Spend time reading your Bible. Find a Bible translation that really speaks to you and you will look forward to reading it. Even just one verse makes such a difference in my day. Find some great devotionals to go with the Bible reading if you like that sort of thing. I got one for Christmas called ‘Jesus Calling’ that I really like. Talk to other people who deal with SAD. Find out how they feel, what works for them, and what they recommend. We are all different and we all react differently to things. What works for me may not be what works best for you. Allow yourself to do what you need to, to cope. Don’t let what others think make you try too hard to be what you can’t be. If someone comes to your door at 2 in the afternoon and you are still in your pj’s don’t worry about it. It’s your house, it’s your life and you have to do what works for you. Don’t let others expectations make it harder to live your life! Most of all remember that you are wonderful. You are loved. You are an awesome person. SAD isn’t who you are or what you are, it’s just something you deal with. I hope today is a good day and – 54 days till April friends! You ARE wonderful! You ARE loved! YOU are an amazing person! First of all, I know I have been that person giddy over the cold and snow…I’m so sorry if I’ve ever said anything that has sent you in a downward spiral. You know I deal with depression also so I would hate to know I’ve been the cause of burdening you further. I’m so glad you’ve blogged about this and opened up about it. “Sometimes just having him come home from work will cheer me enough to get me up and going for the evening,” YES! I get a burst of energy before my husband comes home and if I can get the kitchen cleaned up and dinner started I usually feel better. And I am just the opposite of you about going out (but the cold doesn’t affect me, it’s the sun), if I get out and change scenery or just breathe fresh air and especially get in the sun, it helps me immensely. Another thing I have been finding that helps is to listen to scripture. I will lay down, turn on Biblegateway.com and let Max McLean read to me. I’m so glad you got your furnace and am glad it’s helping some. Big hugs, dear friend, love you! Thanks so much dear friend! You’ve never made me feel bad from any of your weather comments. And you are one of the friends I text when I need someone to pray for me when it gets really bad. I’ve been so much better this year – just learning how to deal with it as I learn to recognize it coming on. And being warmer in my house helps a ton! Great post! I deal with discouragement and down times too. I think we all have them, just that everyone has varying degrees and different things they deal with. I’ve been struck different times lately at how much better off we would all be if we could just be who God wants us to be and what He wants us to be without comparing ourselves to others or thinking our lives or schedule have to look just like this or that. If I can let go of comparison and judgement of others, how much better besides being inside of God’s will and way. May your sharing bless others! Thanks for blessing me. I honestly believe that more people are affected by this than realize. I call it Sun Sickness. Same thing in my mind. Praying for you as Spring comes around!! Thanks Loretta! I would be delighted indeed if we had an early Spring this year! What an incredibly brave and honest post to share. What a comfort you undoubtedly will be bringing to many. It’s hard to believe someone who makes and shares such beautiful things can be like the rest of us and have sad days…so reassuring to hear. Winter makes me feel sad too. My triggers, endless days of gray overcast days with no signs of sun…and being trapped in the house. Thanks for letting me know I’m not alone. Amy, I think there are more people affected by this than we would ever imagine! I don’t like a lot of grey days in a row either and I eventually will even brave the cold just to get out of the house! Thank you. I know where you are coming from, and the explanation is perfect. May I use some of your words? Thanks Deb. And you are welcome to use some of my words! My husband deals with this as well and has a lamp that simulates sunlight. They are not very expensive–google SAD light box and you will find ones as cheap as $45.00. Thank you for sharing this post. You will help many people by being so open and honest. I have heard of people getting those lamps Joanne – thanks for the reminder! Sweet Jill, oh how I wish I were just a little bit as brave as you are! I’ve suffered from Clinical Depression for at least 25 yrs & I’ve always believed that I suffered from SAD as well because my depression is worse in the winter months. I’m also very sensitive to the cold, but the doctors seem to think that has to do with one of my health issues, I just don’t know anymore. I have a tendency to just keep quiet about all of this and keep to myself but it is such a lonely feeling and life. But, I agree with you that people just don’t understand and so much of the time their words are so hurtful. God bless you for your post today as I believe that it will help educate others. Love always. Oh Christy, I’m so sorry. I hate that depressed feeling. It can be so hard to talk about, so many people don’t understand or they think we should just be able to shake it off and be happy. God bless you and get you through this winter to a warm Springtime! I have always loved your blog. I could feel it was straight from your heart and I can really feel the love today. Thank you, I needed that ! Awww, thanks so much Sandy! Thanks for the reminder Donna – I have had my thyroid checked several times but it has been awhile since I had that done. I’ll have to be sure to mention it when I go see him this year. Jill, you have brought forth a subject that most folks don’t even know about. We bought a house north, in the Georgia mountains. My first winter there, it was awesome the first two weeks. After that was a spiral downward. There was no sun for 5 weeks, literally! I was raised in way south Florida. I’m a sun baby to say the least. By the time spring warmed up, I found myself pulled, can’t explain the PULL, to sit in the sun. Have had a scare with skin cancer this was a no no. But, it did let me know that SAD is my issue. It started with the skin cancer, (no more sun), then winter, (no more sun). I have never been so depressed in my life. You are beyond special! You are beyond loved and you are beyond needed and wanted! Thank you from the depths of my SAD for sharing! I too am praying, right beside you, for spring, sunshine, trees to show the life within and the birds to return to sing and have babies! I am ready for our sweet Lord to show the life the lies just under the surface of winter. Begging to let us know, I HAVE AT LONG LAST ARRIVED! Hope can you be in the sun with a very high SPF sunscreen on? Buy some fun hats too! Just having it sunny outside my house does help but I can’t wait to open the door and run outside barefoot into WARMTH! I love the sun and it is hard to have grey, cold days, day after day. I appreciate your honesty with this post. God Bless You for sharing from your heart. I can’t wait to go sit in the hot sunshine Carla! To feel it burning down on my face and to have some warm breezes blowing! Great post Jill. Thank you for being so honest and sharing your struggles. I really appreciate it. I think I may suffer from SAD. I never really new it had a name and I didn’t know there was medicine you could take. For me this year has been the worst. It starts at the end of summer and gets progressively worse. This year I feel it is worse because I quite my job outside of the home and I use to do light therapy(I have psoriasis)but stopped due to insurance. Plus the weather has been terrible. So I sit at home thinking of all the things I want to do and end up doing nothing . It is a viscous cycle that I can’t seem to break. Just typing this makes me wan tot cry. Because of your honesty you helped me like your friend helped you. As soon as I get the insurance figured out and find a good doctor I will be discussing SAD to see it in fact that is what I an suffering from. Thank You! Michelle the medicine I take is called Celexa and it is an anti-depressant but it is ok to take it just in the winter months if you need it. I do better staying on it all year round – I get really grumpy with my hubby and kids if I go off of it. Even with it winter is hard for me but I’m learning how to cope with it and I’ve had way more good days than bad this year and January was a much more productive month for me this year than it has been in the past. Thanks for the hugs Elaine! It does help so much to share with friends. I’ve bottled it all up before and tried to act like nothing was wrong and I was fine but it really is better to have some friends at least to talk to when it gets really bad – at least to ask them to pray for me! And here I thought you were perfect! Lol! I too share a lot of your symptoms. I love your honesty and enjoyed reading your tips! You are fearfully and wonderfully made by our awesome Creator! Jesus loves you and so do I! You made me chuckle Cindy! I am far from perfect! Thanks so much for the sweet, encouraging comment! I can identify with this post for sure. I feel the lack of sunshine would be a trigger point for me. In the warmer months I feel much better if I sit outside a few minutes each day. I recently had my vit. D levels tested at the dr. Found out I am way too low. Did a study online about it, and many dr. Say most people need more vitamin d than previously thought, and that most people with depression symptoms have low levels. Since we get no sunlight in the winter, levels can plummet in some people. I was shocked to see how low I was since I am in the sun every nice day in the summer. I am so glad my dr. Thought to test me. The test was less than $30, and the vit. Is cheap also. Just thought I’d pass on for anyone who might be helped this way….not saying it will take all symptoms away, but might help! God bless you! I have been told I should have my vitamin d level checked but I’ve never done it. I’ve also heard that liquid vitamin d is does a better job for you than the pills. I did take a high dosage of vitamin d every day last year in the winter but it didn’t seem to help at all. I thought this year I would try to get the liquid and try it but I haven’t done it. I totally agree Natalie, I do much better on a grey warm day than in the extreme cold even if it’s sunny. And I know exercise is a wonderful help – I want to add that to my daily routine but haven’t got it accomplished yet. I like the idea of just a couple times a week. Maybe I could handle that! Jill thank you for sharing your personal experience with SAD. You have no idea how many ripples of reassurance you are sending out in the world by your honesty. I know what depression is like from two perspectives, as a mental health professional and as a person who has been depressed and I think when you’ve experienced that kind of emotional darkness, once you come out of it you’re more compassionate, empathic person. I also think it easier to spot another person who might be struggling too. And you really provided some wonderful advice here, especially the advice about communicating with your kids in simple terms about your symptoms, like tiredness. In fact, I love the analogy of an adult ‘timeout.” Sensitive children in particular can ‘pick up’ on adult feelings and can easily slip into the role of trying to fix Mommy or Daddy, which is a burden children shouldn’t have to deal with. I also love your advice about FB. It’s SO healthy to be able to recognize those triggers that make things worse… and choosing to step away or block certain people on FB is such empowering advice. You’re a wise soul Jill. The only thing I’d add that has truly helped me when I’m down is getting outside in nature. I’ve seen nurmerous studies confirming how even a daily walk can change the brain chemistry and help with depression. Anyway I didn’t mean to go on about this subject, I just wanted to tell you how special you are. Thank you so much Leslie! I so appreciate your comment. And I have been told that exercise will help and I know it does. I need to to try to make myself get into a routine of exercise! It helps the brain produce the serotonin I need! Jill, this was such an insightful post. Thank you so much for being so open and honest with what you’ve been through and what you’ve learned. I knew a bit about SAD but your post was so very helpful. Not only your post but the open and sincere comments from your readers. Thank you! I have not tried this so I can’t say it works but I have been told just one session using a tanning bed will help with SAD. There is controversy about the safety of tanning beds, but if one session helps, it may be worth it and shouldn’t cause too much problem. Sharon, I have tried that – I tanned almost once a week last year and it did help a lot. This year has been enough better and with it being so cold outside I never got out and went to the tanning bed. Yes, there are risks so you have to weigh those but I’ve been told that tanning once a week isn’t that high a risk. of course that all depends on who you talk to but I would recommend trying the tanning route if there isn’t a high rate of skin cancer in your family. I am sitting here (cold, in my bed), crying. I could have written this. Thank you for sharing and giving a little more credibility to this issue– I often feel like I am overreacting or that I should be able to just pull myself up by the bootstraps and GET ON WITH MY LIFE. But I just feel so stuck. I don’t want to be like this, to be that sort of mom. Ugh. Melody, there are times that it is just impossible to make yourself get on with life. It helps me to text a friend and ask for prayer – because it’s in those down times that I can’t even find the energy to pray myself. I know what I should do, I know I should try but I just can’t. If you don’t take medication I’d encourage you to talk to a dr or counselor or someone who can help you figure out if it would help. I’m praying for you!